Hello Steven, I just wanted to thank you for everything you have done for both Sheelagh and I. You have really made our first home purchase an easy one with your sound advice, and knowledge of what we are to do. You also took on so much of the responsibility such as contacting the Lawyer, Home Inspector and Mortgage Specialist and obviously showing us homes. We really wouldn't have known what to do without you. Once again I would like to express my thanks and I will definitely be referring people I know to you in the future. Robert and I were very impressed with how quickly our home SOLD, not only did it sell quicker than we expected, but Steven negotiated $3,000 dollars more for our home. That was $3,000 more in our pocket than we expected. The level of professionalism and Steven's constant communication made the process of selling our home extremely satisfying. We purchased another home with Steven in the same community of Garson. 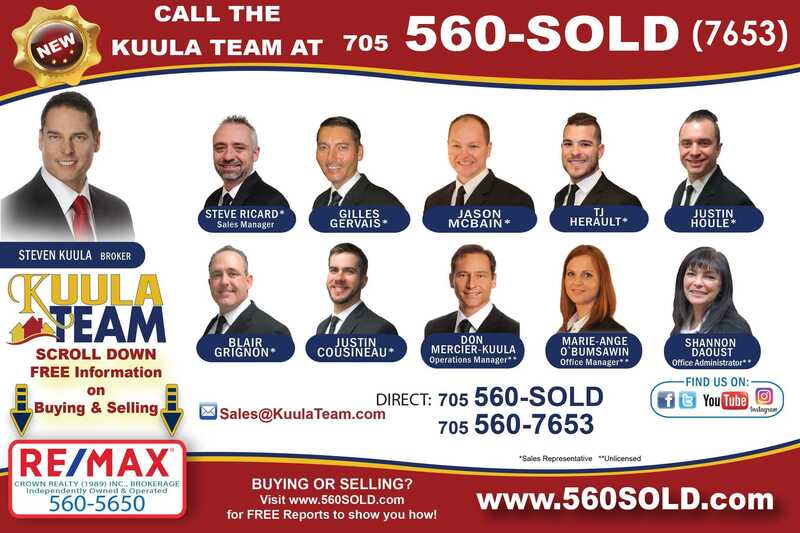 He is a very enthusiastic and knowledgeable professional and we recommend him highly if you are looking to buy or sell your home. Thank you Steven for everything. Hi Steve First of all I would like to thank you very much for your help and patients. Buying our first house has been tense, fun and exciting! We both appreciate the time you put into our first purchase of our new home. At times we thought we would never find the house we wanted, but with your help we knew we would find it. For the people looking for help from Steven, let me tell you he is aggressive and pays attention to details. You will be very happy with Steven's very professional representation. Thanks Steve. Dear Steven : We are pleased to see that you are expanding your profile. You continue to impress us with your determined ambition and strong professional ethic! You presented yourself as a knowledgeable, professional and courteous "ally" in our search for the home we were looking for. You instantly made us feel comfortable and assured us that you would take care of everything, we were free to have fun with the entire process. We could always count on you returning our calls, no matter what time or day of the week. You were most accommodating to our schedules. Just by giving you a telephone description of our ideal home, you were able to come up with several houses that matched our requirements. Your intuition was amazing, after looking at a few houses, we purchased the very first home you showed us! ...Just a note to clients looking to purchase or sell their home. Steven knows the real-estate business. Whenever we had any questions or concerns he always went above and beyond to ensure that he could provide us with clear answers. Steven did whatever he could to ensure that the purchase of our new home was an enjoyable experience. We trusted him completely and will no doubt utilize his services again when the opportunity presents. We wish you the very best of luck. Dear Steven, Thank you for doing your job so well. You go above and beyond the call of duty. This note of appreciation is to let you know that we were very grateful for all you did for us. Without your hard work and determination we would not have been able to purchase our first home. Thank you.